Help introduce smart, motivated, and underrepresented nonprofit professionals to the 19NTC to connect and learn. Professional development opportunities are vital to sustaining the nonprofit sector, yet too often, the cost is out of reach for many. NTEN believes that finances should not be a barrier for those who know that technology can help their organization meet their mission. 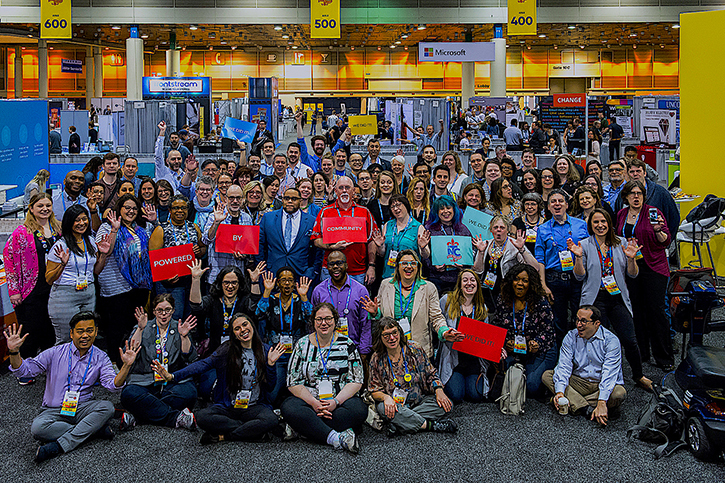 Therefore, every year we offer scholarships to those who might not otherwise be able to attend so that they can access the resources and connections that the Nonprofit Technology Conference offers. We need your help to support the 50 scholarships for 19NTC. Your donation helps us continue to offer diversity, local, and general scholarships. You can help introduce smart, motivated, and underrepresented nonprofit professionals to the conference to connect and learn, bringing needed change to their organizations and their communities. The NTEN board is raising funds to support scholarships for the next NTC and would love your support! You can donate on any of their individual campaign pages or give directly to NTEN on the campaign site or on the NTEN website. DonorPerfect is even offering a matching donation for the next $3,000 that’s contributed! We are so grateful for their continued investment and leadership in the NTEN community and for their direct support for scholarships. “Personally, I very much appreciate NTEN’s mission and have followed the growth of the organization from the very beginning. Thank you for supporting NTEN and its mission of supporting nonprofits to embrace technology skillfully and confidently in order to meet the needs of the community,” said Jon. We thank him and the DonorPerfect team for their support. Learn more about the campaign and what past NTC scholarship recipients have shared about their participation – thanks in advance for your support!